The original Moto 360 was the smartwatch to have - the first with a round display (barring the 'flat tire'), and one of the first powered by Android Wear. Unfortunately, the lack of an always-on display, the ancient TI OMAP 3 processor, and small battery were sources of frustration for early adopters. The second-generation model fixed many of the original's shortcomings, but it did arrive with a hefty price tag of $300. 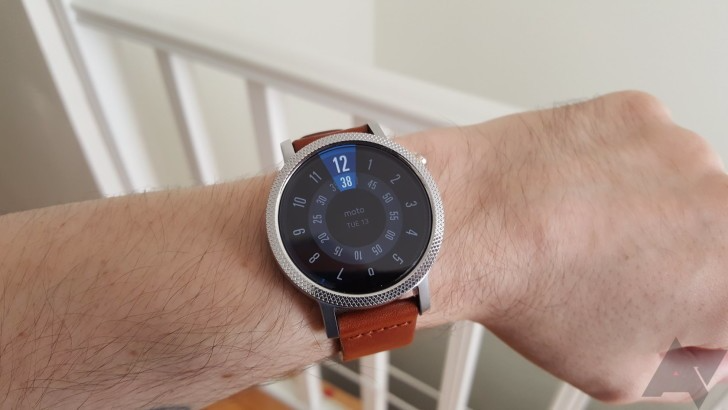 Motorola hasn't shown interest in developing another smartwatch, and to that end, the second-generation Moto 360 has been removed from the Google Store. This comes after all of Fossil's Android Wear offerings were removed a week ago. The sport-oriented version of the second-gen Moto 360, the Moto 360 Sport, was removed from the Google Store only a few months after release. It's not entirely clear if the second-gen Moto 360, or the Moto 360 Sport, will receive the much-anticipated Android Wear 2.0 update. LG's upcoming smartwatches appear to carry on the minimalist round design that the Moto 360 line was known for, but we will have to wait for an official reveal to know for sure.